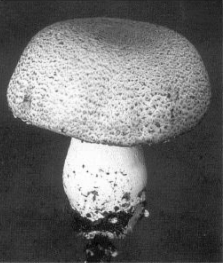 Agaricus blazei Murrill (ABM) popularly known as ‘Cogumelo do Sol’ in Brazil, or ‘Himematsutake’ in Japan, is a mushroom native to Brazil, and widely cultivated in Japan for its medicinal uses, so it is now considered as one of the most important edible and culinary-medicinal biotechnological species. It was traditionally used to treat many common diseases like atherosclerosis, hepatitis, hyperlipidemia, diabetes, dermatitis and cancer. In vitro and in vivo ABM has shown immunomodulatory and antimutagenic properties, although the biological pathways and chemical substances involved in its pharmacological activities are still not clear. The polysaccharides phytocomplex is thought to be responsible for its immunostimulant and antitumor properties, probably through an opsonizing biochemical pathway. Clinical studies are positive confirmations, but we are still at the beginning, and there are perplexing concerns especially relative to the content of agaritine. Argantine is a well-known carcinogenic and toxic substance in animals, that must be completely and fully evaluated. Immune recognition. A new receptor for beta-glucans. The carbohydrate polymers known as beta-1,3-d-glucans exert potent effects on the immune system - stimulating antitumour and antimicrobial activity, for example - by binding to receptors on macrophages and other white blood cells and activating them. Although beta-glucans are known to bind to receptors, such as complement receptor 3 (ref. 1), there is evidence that another beta-glucan receptor is present on macrophages. Here we identify this unknown receptor as dectin-1 (ref. 2), a finding that provides new insights into the innate immune recognition of beta-glucans. Mechanism by which orally administered beta-1,3-glucans enhance the tumoricidal activity of antitumor monoclonal antibodies in murine tumor models. Antitumor mAb bind to tumors and activate complement, coating tumors with iC3b. Intravenously administered yeast beta-1,3;1,6-glucan functions as an adjuvant for antitumor mAb by priming the inactivated C3b (iC3b) receptors (CR3; CD11b/CD18) of circulating granulocytes, enabling CR3 to trigger cytotoxicity of iC3b-coated tumors. Recent data indicated that barley beta-1,3;1,4-glucan given orally similarly potentiated the activity of antitumor mAb, leading to enhanced tumor regression and survival. This investigation showed that orally administered yeast beta-1,3;1,6-glucan functioned similarly to barley beta-1,3;1,4-glucan with antitumor mAb. With both oral beta-1,3-glucans, a requirement for iC3b on tumors and CR3 on granulocytes was confirmed by demonstrating therapeutic failures in mice deficient in C3 or CR3. Barley and yeast beta-1,3-glucan were labeled with fluorescein to track their oral uptake and processing in vivo. Orally administered beta-1,3-glucans were taken up by macrophages that transported them to spleen, lymph nodes, and bone marrow. Within the bone marrow, the macrophages degraded the large beta-1,3-glucans into smaller soluble beta-1,3-glucan fragments that were taken up by the CR3 of marginated granulocytes. These granulocytes with CR3-bound beta-1,3-glucan-fluorescein were shown to kill iC3b-opsonized tumor cells following their recruitment to a site of complement activation resembling a tumor coated with mAb. Copyright statement: © 2007 The Author(s). This is an Open Access article distributed under the terms of the Creative Commons Attribution Non-Commercial License ( http://creativecommons.org/licenses/by-nc/2.0/uk/) which permits unrestricted non-commercial use, distribution, and reproduction in any medium, provided the original work is properly cited. A low molecular weight polysaccharide isolated from Agaricus blazei Murill (LMPAB) exhibits its anti-metastatic effect by down-regulating metalloproteinase-9 and up-regulating Nm23-H1. Copper- and zinc-enriched mycelium of Agaricus blazei Murrill: bioaccumulation and bioavailability.